Kitesurfing is easier to learn than you think! With only 3 lessons we can teach you kitesurfing, we guarantee you will be riding alone by the end of the 9th Hour, or we will give you an extra lesson for free, as simple as that. We are giving lessons in Hurghada, El Gouna, Soma Bay, Makadi Bay and Safaga, choosing a different kite spot depending on wind conditions and where your hotel is located. Simply contact us or book directly online and we will arrange everything: we will provide all equipment needed, and help arrange transportation from and back to your hotel. Our instructors can speak English, Italian, Russian, German and French, they are experienced and qualified to ensure a safe and professional environment where to learn kitesurfing. All lessons will be IKO standard and at the end of your course, you will receive an IKO Card certifying your kitesurfing level. For more info on IKO, click here. The day before we will discuss wind condition and decide a good time to meet up. We will meet at your hotel the day after and we will move by our car to the kite area in the morning/afternoon, depending on the wind forecast. We provide all the equipment needed, so come alone or with your friends to enjoy your kitesurfing day. And don’t forget sunglasses and sun protection!!! We will start with the wind theory and you will get familiar with all the equipment. You will understand to know hazards on spot and the spot and wind conditions of the day. All safety measures and systems are explained, tested and learned. You will prepare the kitesurf gear and learn to fly the kite indipendently. You will learn to relaunch the kite in case it falls in the water. You will learn to exit and enter the water independently while controlling the kite. You will learn body dragging downwind and upwind (the ability of moving in the water using the kite). You will get the board and learn to waterstart. You will be riding alone but monitored by our instructor. You will learn the right way of rules, in order to kitesurf amont other riders. What after the course is done? A classic Full schedule 10h course needs 3 days to complete – at the end of the 3rd day typically a student is able to ride for very short distance independently and safe – further practice is of course necessary for riding longer. Check our Price table below, we teach privately with max one instructor per 2 students – never more, to guarantee that you have plenty of time in the water. After that day, you are welcome to join us when we go kiting (for free). You will of course need your own equipment or rent some equipment from us – check below our rental prices, they are super competitive! It’s easier and you avoid having to carry around cash with you! Plus, you will help us organize our awesome instructor and make sure the equipment is ready and reserved for you! Sunglasses and high protection sun cream for your face. Both very important items. You will be using one of our wetsuits or rush guards (if needed) to protect you from cold water (winter only) or the Sun (every day). Also reccomended shoes for the water – diving shoes are typically used by our students, but we do provide water shoes in case. 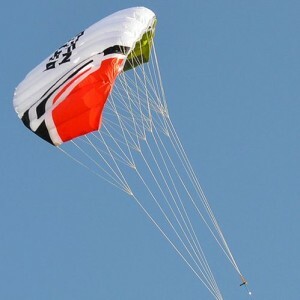 You won't find any kite course cheaper than this! Optional no stress insurance: 5€ extra per day, so that any damage to the equipment won’t be charged.